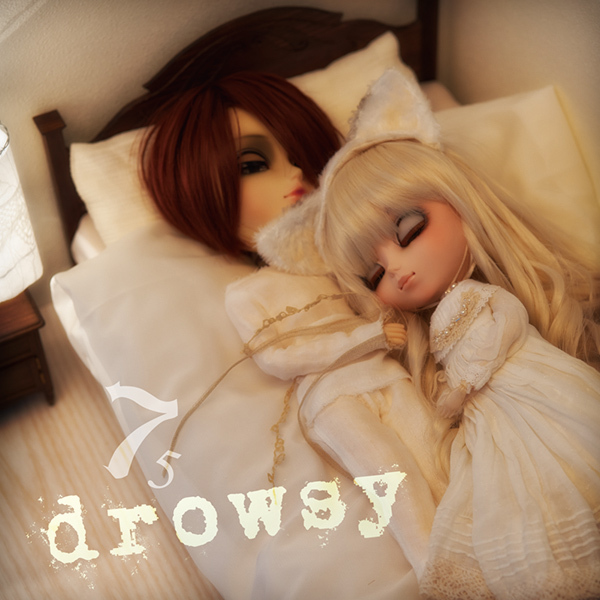 In 2014, two Taeyangs were released based on the J-pop singer Mi-chan (Michan) as well as a Pullip based on his beloved cat Nana-chan (Nanachan). 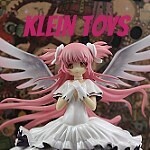 Taeyang Mi-chan pajama version was a limited edition release that came in a simple set of pajama, a more elaborate of Mi-chan was released as a standard release. 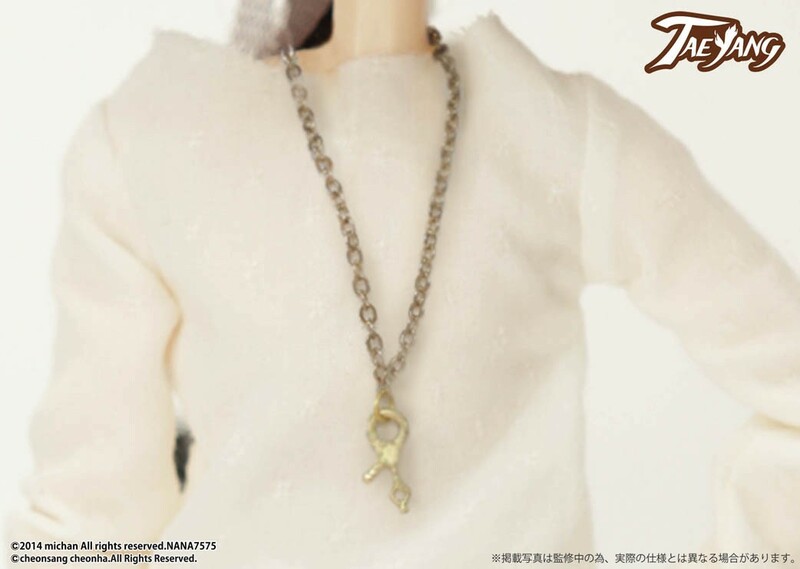 Release: Limited edition release limited to 300 dolls, 30 of which came with an autographed photo of singer Mi-chan (1/10 chance). 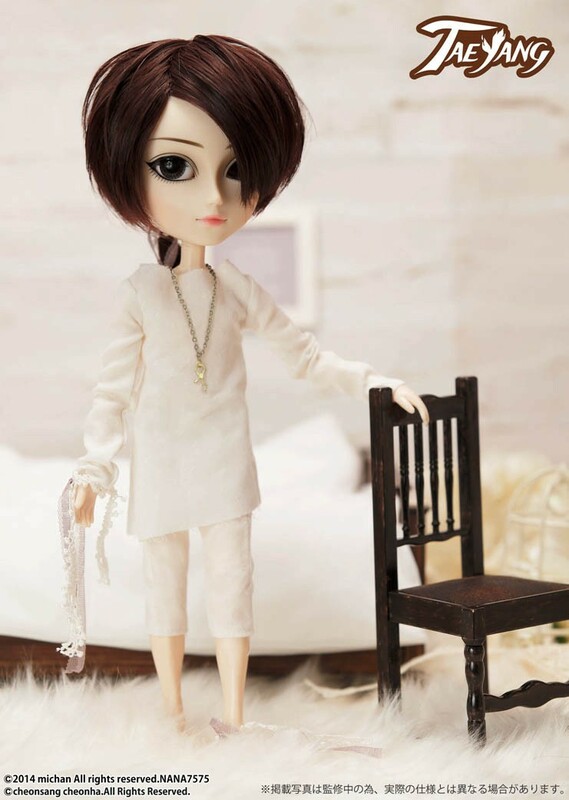 Stock: Taeyang Mi-chan pajama version comes with a shirt, pants, a necklace and two ties. 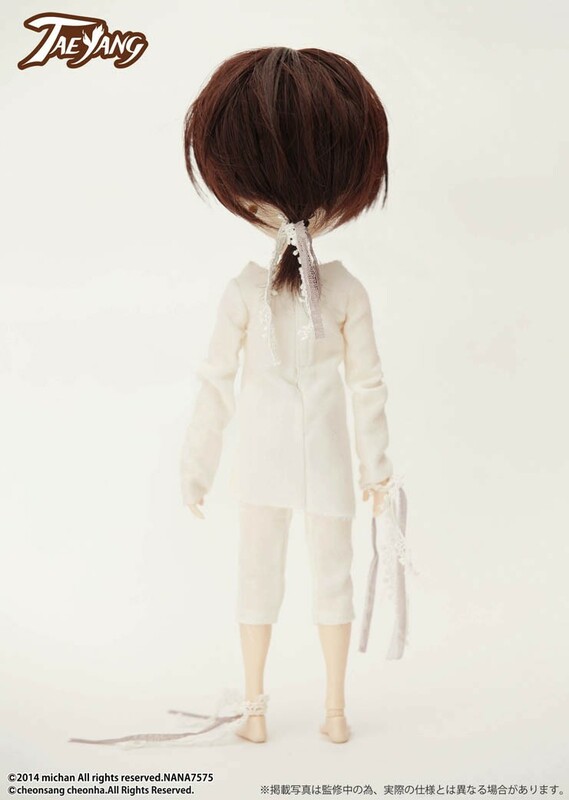 He does not come with shoes, I believe he is the only Taeyang to be released to date that does not come with shoes. 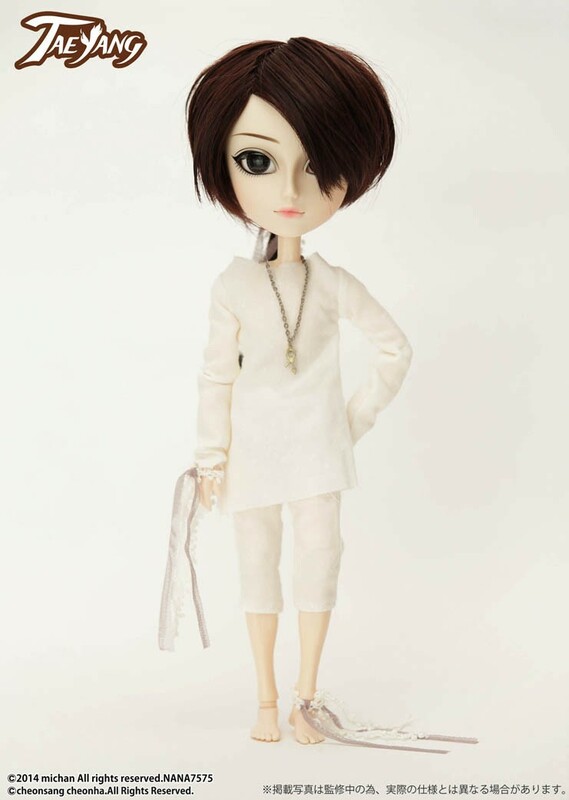 Special Notes: Two versions of Taeyang Mi-chan were released, Taeyang Mi-chan Gothic Mode Version and a special limited version Mi-chan pajama version. Both versions appear to be identical but the Gothic Mode Version comes with additional stock items (vest, tie, plaid pants & hat). 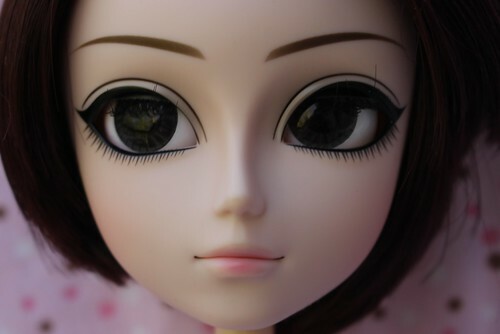 Similar Doll Recommendations: Taeyang Mi-chan Gothic Mode Version & Pullip Nana-chan.